It is perhaps the most cosmically significant spot in the universe of Nebadon, and it happens to be right here on earth. It’s the place where the creator of our universe won his last and greatest title, gaining total and unquestioned sovereignty over the welfare and destiny of ten million worlds. It is perhaps one of the greatest moments in the life of a Creator Son and of course, is of tremendous importance and sentimental value to his countless creatures throughout his vast domain. It will be held as sacred ground for all eternity. Mt. Hermon is not only one of the hottest places in our universe but also one of the hottest places on earth. Unfortunately, however, it’s for all the wrong reasons. In November of 2007 I began researching more intensively in order to find the exact area Jesus spent those six crucial weeks of his life. He was there several times but the “temptation” took place during those six weeks he spent “alone with God” atop Mt. Hermon. Later on he again visited the same area with his apostles, after making camp at Beit Jenn. 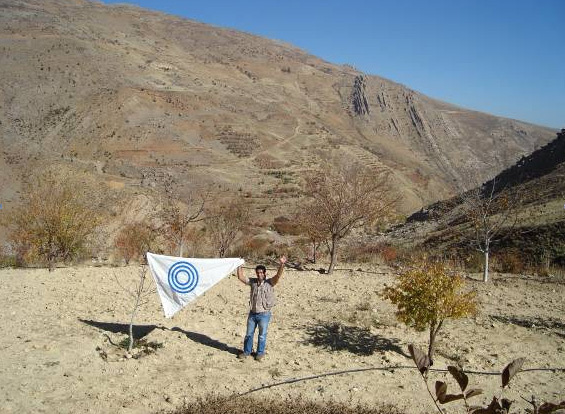 The Urantia Paper’s reference to Beit Jenn proved to be crucial in the research, since it left little doubt about where Jesus started up the mountain and also, which way he must have traveled to reach his final destination. The UB reference to the fact that it was "sometime knows as Beit Jenn" is very interesting. Beit Jenn is an Aramaic name and means "house of Jenn." Jenn or Jinn is an Islamic name for a particular type of demon -- one which lives among humanity and is very mischievous, often very interested in the affairs of men. The Urantia Book describes Beit Jenn as the place where Jesus cast out a Midwayer from a young boy – the same story that is recorded in the Bible. 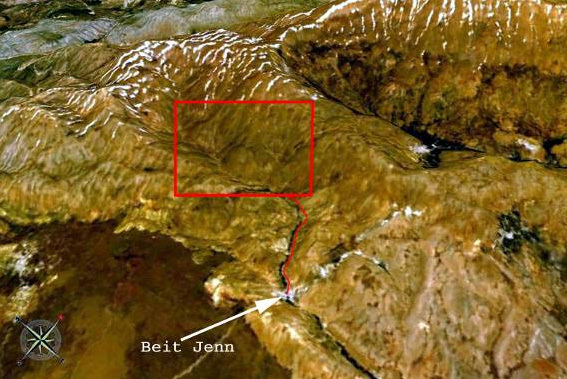 The fact is that the site was not called Beit Jenn when Jesus visited the town. It was called by that name later, once it became known as the region where Jesus had performed this act, which explains why the papers state that it was "sometime" called Beit Jenn. This means that the current town of Beit Jenn at the foothills of Mt. Hermon is the very same place. Since I was traveling to Iran in December of 2007, I had the opportunity to stop in Syria first. With the political situation being what it is today, this was a bit risky. Syria is a troubled place and right off the bat, in the Damascus airport, I could tell this was going to be a bumpy ride. I won’t go into details but let’s just say that I shouldn’t have told them that I’m a writer with both a US and an Iranian passport. Live and learn. The next day I told the hotel manager that I wanted to go to Beit Jenn. He gave me the same look I’m accustomed to when I tell people the places I want to go. They’re usually in remote locations that no tourist would ever want to go, and since people can’t figure out why on earth anyone would want to go there, suspicion usually arises. Nevertheless, I arranged for a taxi to pick me up and drive me there, and stay around while I hike a bit. There are no taxis there in Beit Jenn so you need to keep the taxi around. It took about an hour to get there and we traveled on the very roads that Jesus and the apostles did back in the day. It was the Damascus Road, where Saul received his blinding vision. In time Mt. Hermon came into view and my imagination ran wild with all the events that have transpired in this, one of the most sacred spots on earth. Mt. Hermon is very dry now but it used to be much greener, and Jesus’ travels in August would have meant an idyllic and quiet time atop a grand mountain, from where he would have seen much of the surrounding lands where his destiny would soon play out. The taxi driver had some crosses on his rear-view mirror but like almost everyone else in Syria, knew hardly a word of English. I somehow made it clear to him that I wanted to go to Beit Jenn because Jesus had once been there, but I’m not sure if he believed it. It was clear that he was a bit excited though since this was not an ordinary place for him to go and spend half his day. He asked me if I like Arabic music and played his radio loud while we got ever closer to the mountain. 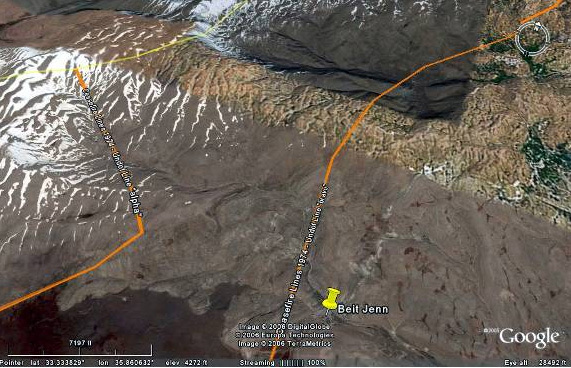 Google Earth had given me the ability to recognize every part of Mt. Hermon now that I was there in person, and Beit Jenn came into view slowly as we ascended the foothills. It was even more backwards than I had imagined and probably had not advanced very much since the days of Jesus, except for telephones and electricity and some better construction. The people probably still looked the same. You could feel the antiquity of the place as we headed uphill, passing Beit Jenn along the way. It was no use stopping in the little town since no one spoke English and therefore I had no way of teasing people by asking them if they knew where their town got its name. If they only knew! Anyway most of them looked Muslim so they wouldn’t know the biblical legends. My taxi driver kept looking at me, trying to decide if I was crazy or not. One of the most amazing things about this research was the realization that the area where Jesus spent those six historic weeks rest within a ceasefire zone between Syria and Israel. The southern part of Mt. 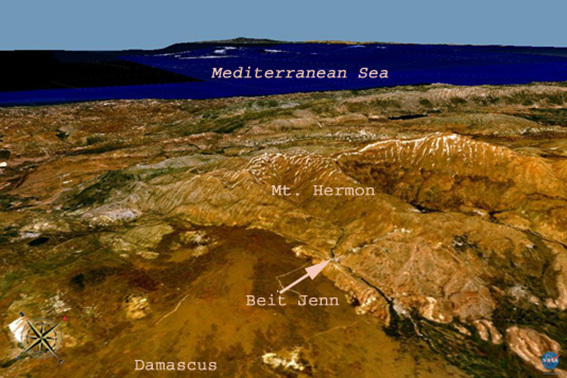 Hermon is Israeli territory, while the Beit Jenn area is Syrian land. The ceasefire area is a no-man’s-land covering several miles. The fact that the hottest place on earth as well as Nebadon is a place where no man can go is mind-boggling to me. Is it coincidence? Who knows? I went as far as possible with the taxi, meandering through the valleys and dirt roads before we were finally stopped at a military check point and informed that we could go no further. We turned around and I asked the driver to stop and rest while I began to hike up the mountain with my camera, going as high as I could without being spotted by the UN observatory atop Hermon. I couldn’t really be sure exactly where the transfiguration had taken place, or where Michael had met his foes, but six weeks is a long time and knowing Jesus, he would have walked all over the area. Certainly the road from Beit Jenn up towards the heights was the same as the one that existed in Jesus’ day, and there was no doubt that Jesus and Taglith, as well as the apostles, had moved precisely along the same path. In the next world I hope to know just how close I was. Raising Michael’s flag was a momentous occasion for me, one which I will treasure forever in my heart as I remember the day I climbed the mountain where our Creator Son completed his seventh and last incarnation, winning total authority over his universe.